The Bharat Dynamics Limited (BDL) was established in 1970 to undertake the manufacture of guided missiles. The company has two units, one at Kanchanbagh, Hyderabad and the other at Bhanur, Medak district. The BDL started off with the production of anti-tank missiles under license from France and Russia; it is now the prime production agency for missiles developed by the Defence Research & Development Organisation (DRDO). The company has a design and engineering division for developing and upgrading products required by India's armed forces. BDL has grown steadily. It currently employs about 3,222 people and its annual turnover reached $75.11 million in 1999. The BDL has drawn up a "Perspective Plan" for the period 1999-2008 to meet the future requirements of India's armed forces. BDL started off with the production of the first-generation SSIIBI anti-tank guided missiles (ATGM) under license from M/s Aerospatiale (France) in the 1970s. In the 1980s, the company switched to manufacturing the Milan and Konkurs ATGMs along with their launchers under license from France and the former Soviet Union successively. The BDL also manufactures other products such as flame launchers and missile simulators. The company is now the main production site of DRDO's Prithvi and Agni ballistic missiles. The BDL will also be the future production site for DRDO's other proposed missile systems, namely, the Akash and Trishul surface-to-air missiles and the Nag ATGM. In FY 2000, BDL's exports totaled 3.6 million rupees. "Defence Production and Supplies," Ministry of Defence Annual Report (2000-2001: Government of India, New Delhi), pp. 57-58. "Defence Production and Supply," Indian Armed Forces, www.indianarmedforces.com. "Bharat Dynamics Limited," Department of Defence Production & Supplies: Ministry of Defence, pp. 121, 266, www.defstand.gov.in. 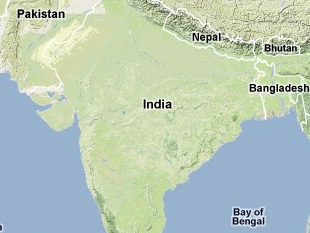 "Bharat Dynamics Limited," India Public Sector.com, www.indiapublicsector.com.